A joint venture between Williams Pears Group, one of the UK's biggest property companies, and British businessman Jonny Berman, have exchanged an unconditional contract to divest 19 supermarkets across New Zealand to DNZ Property Fund Limited for NZD$287 million. 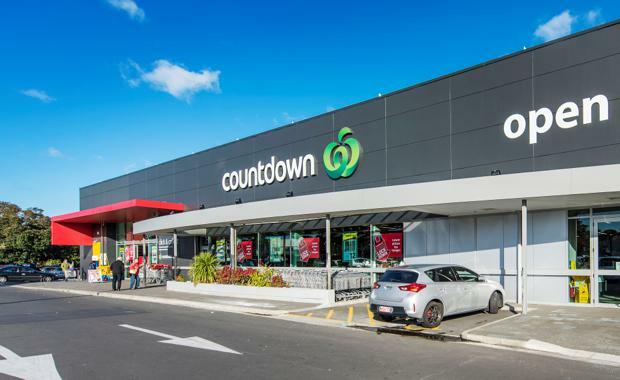 The nationwide portfolio of supermarkets is leased to General Distributors Limited, the operator of Countdown supermarkets in New Zealand and an ultimate subsidiary of Woolworths Limited. The majority of the supermarkets were subject to new 20 year leases and rights of renewal giving General Distributors Limited security of tenure for up to 50 years. The sale was handled by Stuart McCann of JLL's Asia Pacific Corporate Finance division and Simon Rooney of JLL's Australasian retail investments division. Joint agents on the sale included Peter Herdson and Andrew Reed of Colliers International. The sale reflects one of the largest retail portfolios to transact in New Zealand's history and was sold via a highly competitive international private treaty sale process which called for bids on 9 September 2015. "The highly competitive nature of the sale process was a clear demonstration of the weight of capital seeking New Zealand retail assets. We can equate the unsuccessful bidders to an aggregate of close to NZD3 billion which reflects a significant level of unsatisfied demand from offshore and onshore sources," said Mr McCann. The New Zealand retail investment market had a record year in 2014, recording more than NZD2 billion of sales, exceeding the previous record set in 2010 and increasing almost five fold on 2013 transaction volume. A key driver of this investment activity is New Zealand's strong economic backdrop for investment. GDP grew by 3.5 per cent during 2014, the population is growing at 1.4 per cent per annum, and house prices grew over 8 per cent nationwide over the last year. These factors are flowing through to customer spending with retail sales growing by 5.5 per cent during the year to June 2015.